With its scenic countryside, medieval villages, ancient castles and cultured cities brimming with historic architecture, Hungary should be high on your European wish list. Cycle along the banks of the beautiful Danube, passing tiny islands, vineyards and small farming villages as you ride through the idyllic Hungarian countryside; and explore the churches, palaces and cobbled laneways of Gyor, halfway between Budapest and Vienna and brimming with medieval history and elegant architecture. Discover the allure of Budapest, Hungary’s magnificent capital, with its ancient chapels and historic palaces, cobblestoned backstreets and elegant plazas. 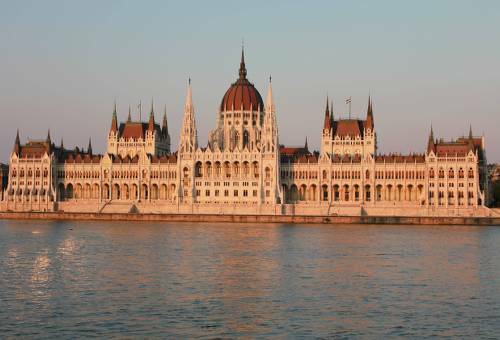 Soak up European history in museums and monuments, enjoy gourmet cuisine and hip nightlife, take a relaxing soak in one of the city’s famous bathhouses or simply sit in a café on the Danube and watch the world go by. Our unique guided and self-guided cycling adventures are tailored to get you deep into the heart of Hungary and her gorgeous neighbours, exploring both the key highlights and lesser-visited trails at your own pace. Have a browse and start planning your next adventure! 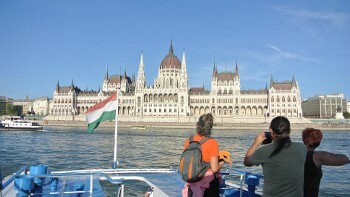 The romantic city on the Danube is worth visiting for the architecture alone. The important Baroque city sits halfway between Vienna and Budapest. On self guided trips you can expect to receive up-to-date and well researched route notes and maps, seamless luggage transfers as well as competitive pricing on all essential services. Many self guided trips also have daily departure dates. Enjoy the convenience and flexibility a self guided trip offers. Electricity in Hungary is 230 Volts, at 50 hertz. The most common pin type is C. (2 round prong).